Trails of the Cold Steel III finally gets a localization! Are you a fan of the Trails of the Cold Steel game series? If you are, then you have all the rights to rejoice as Trails of the Cold Steel III just got announced for the West! 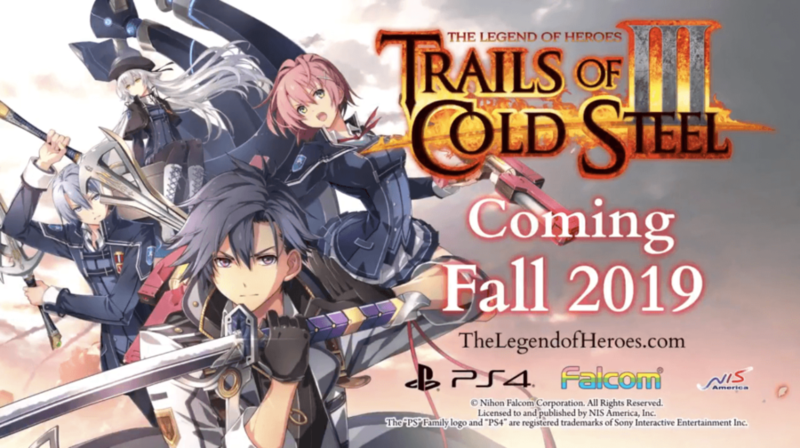 Trails of the Cold Steel (TOCS) series is a game series that a lot of JRPG fans are playing. Unfortunately, only up to Trails of the Cold Steel II was localized for the west… that is until today. Nippon Ichi Software(NIS) America Twitter account dropped a bomb out of the blue; NIS America tweeted out the announcement trailer for Trails of the Cold Steel III, a highly anticipated game to be released in the West! The second part of the series, Trails of the Cold Steel II, is yet to be released in early 2019 but it is now confirmed that Trails of the Cold Steel III will be released in Fall of 2019. Although there is a catch, the game will only come out exclusively for the Playstation 4. If you don’t have a Playstation 4 yet and you are a fan of the Trails of the Cold Steel series, go grab yourself one now! Final Fantasy IX is Now Out on Xbox One, Windows 10, and Nintendo Switch! Octopath Traveler is Now Officially Coming to PC!